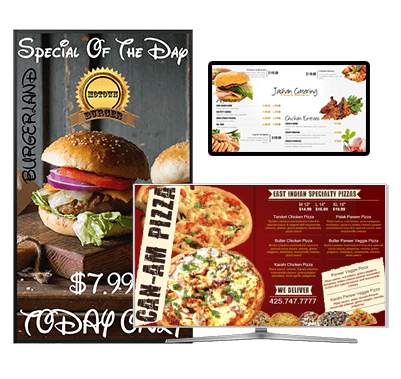 Digital signage helps businesses communicate and interact with all their audiences in a more relevant, timely, persuasive, and lucrative way than ever before. Many restaurant owners are turning to digital menu boards as a way to promote their offerings. An excellent way to influence customer during point of purchase. Digi Signs was built with small businesses in mind. Our goal is to help small businesses grow through affordable mobile apps and websites! Deliver a Better Shopping Experience to your customers. Today digital signs are used to showcase hot new inventory, promote closeouts, and so much more. 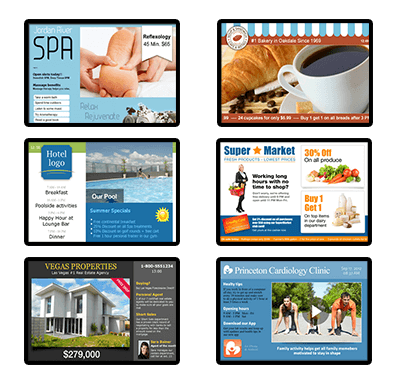 Positively impact your sales by using our beautiful and affordable digital menus. Adjust prices, display special promotions and save on printing cost. 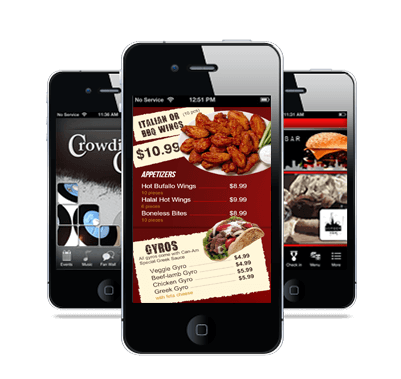 We bring cutting edge, easy to use, cost effective mobile apps and websites to your business. We have the hottest features available to make your business succeed in the mobile and website arena.